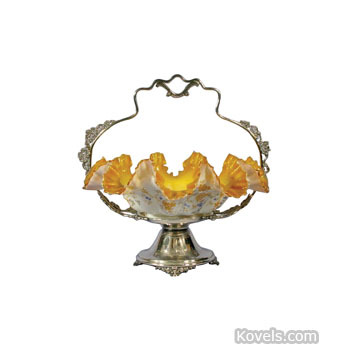 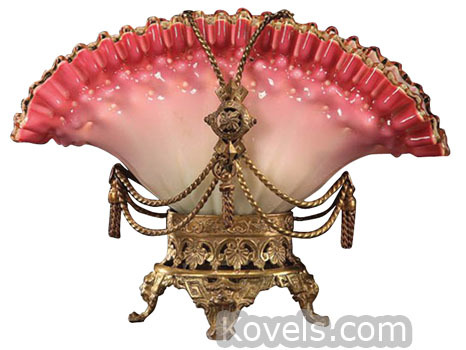 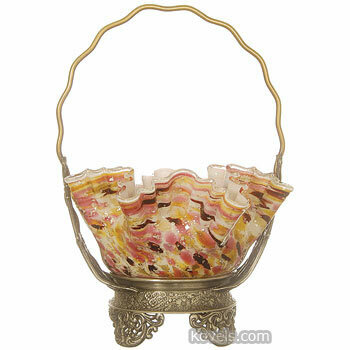 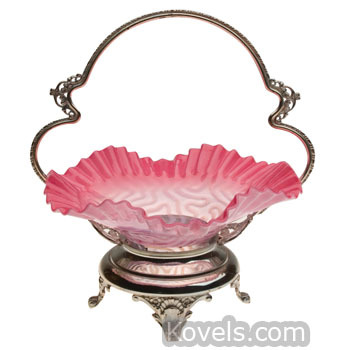 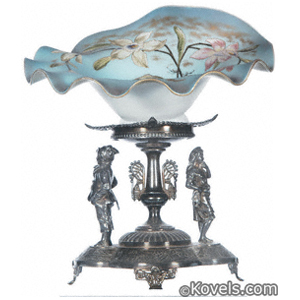 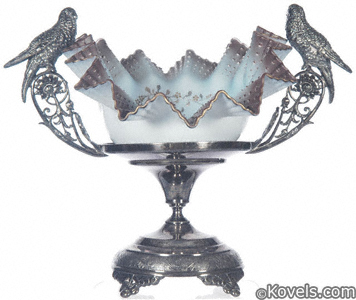 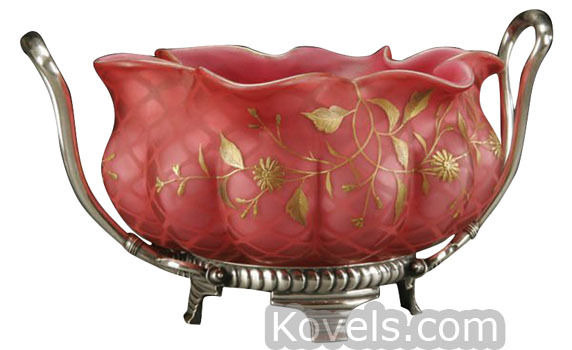 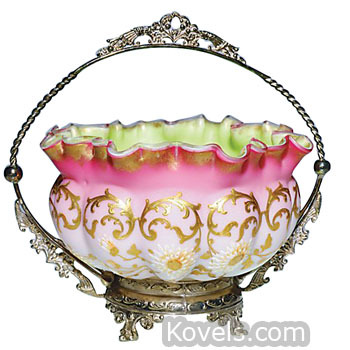 Bride's baskets or bride's bowls are usually one-of-a-kind novelties made in American and European glass factories. 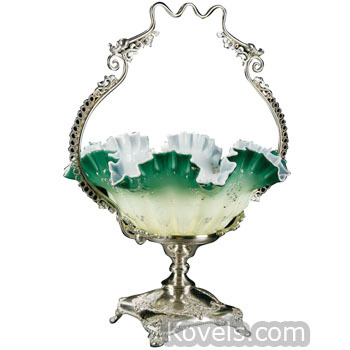 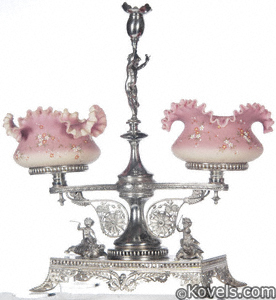 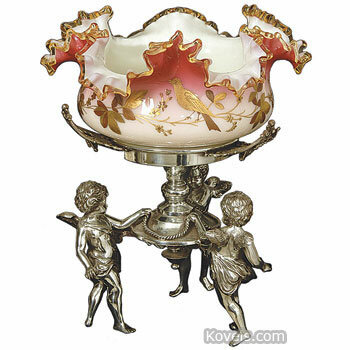 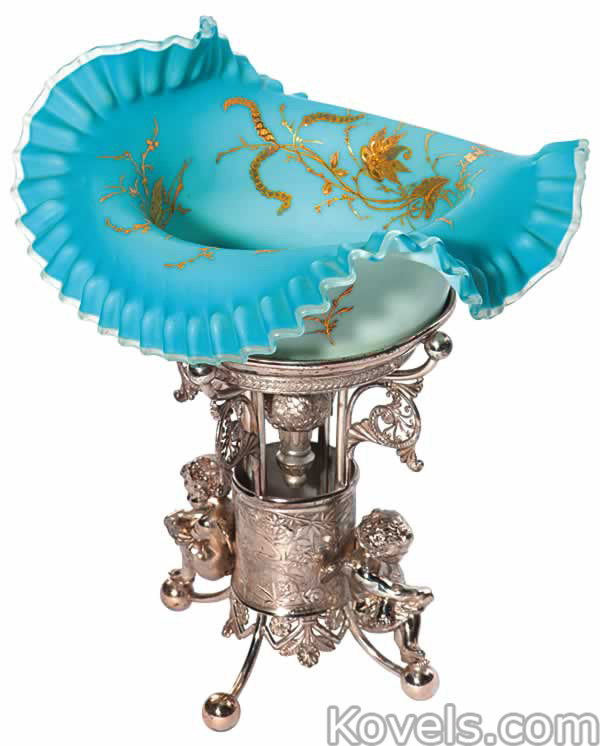 They were made in almost every color of art glass and most have silver-plated holders with handles. 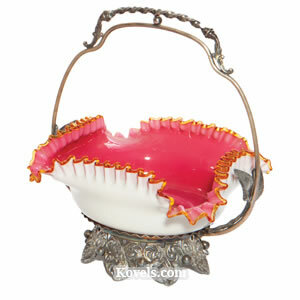 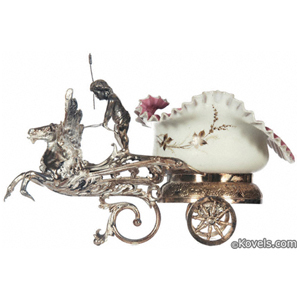 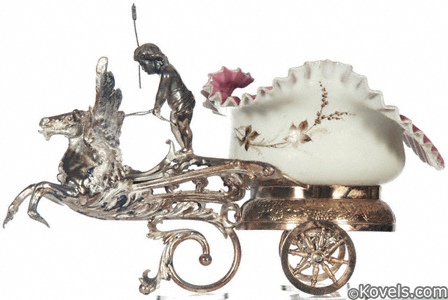 They were especially popular about 1880 when the decorated basket was often given as a wedding gift. 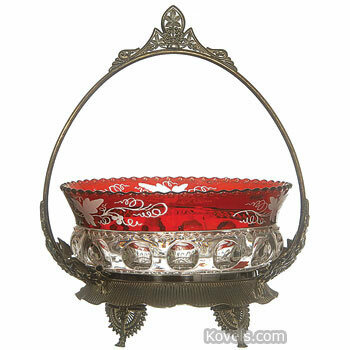 Cut glass baskets were popular after 1890. 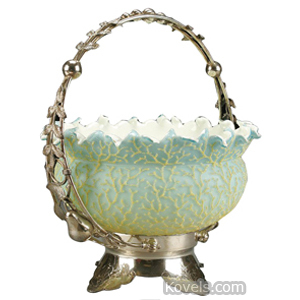 All bride's baskets lost favor about 1905. 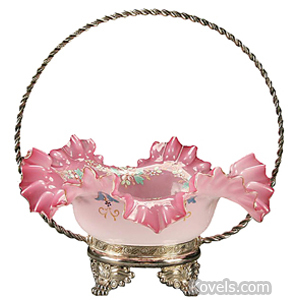 Bride's baskets and bride's bowls may also be found in other glass sections.